Here are some key technological developments in the Persian Empire. Qanats, the underground channels carried water to remote dry areas, linking many wells along their length. Although first invented as early as the fourth millennium B.C. recent discoveries now see them as an Achaemenid technology. 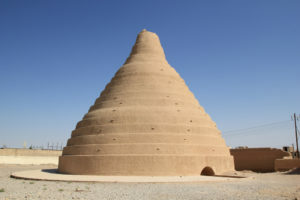 The first “qanats” originated in ancient Persia (Iran) to bring water from the foothills of the northern mountains to the southern plains region for irrigation and domestic use. Today batteries can be found in any grocery, drug, convenience and department store you come across. But 2000 years back battery was made in Persia known as Baghdad battery. The device consists of a 5-1/2-inch high clay vessel inside of which was a copper cylinder held in place by asphalt, and inside of that was an oxidized iron rod. Experts who examined it concluded that the device needed only to be filled with an acid or alkaline liquid to produce an electric charge. It is believed that this ancient battery might have been used for electroplating objects with gold. Long before the Persian king of kings started to develop a consistent traffic police tracks and bridle paths had connected the settlements of men all over the world. In certain cases, they had grown into systems like the ridgeways and trackways of prehistoric Britain which were leveled and traced to a certain extent and which converged on Salisbury plain with its religious monuments such as Stonehenge, Woodhenge and Avebury. A study shows that the Persians dug a mine underneath the wall in order to enter the city. They also ignited bitumen and sulfur crystals to produce dense poisonous gases. Ancient Persians were the first to use chemical warfare against their enemies, as suggested by the study. The theory is based on the discovery of remains of about 20 Roman soldiers found at the base of the city wall. Windmills are believed to be originating from Persia. The world’s oldest windmills are located in Afghanistan. Two Arab writers mentioned windmills in the high dry land between what is known today as Iran and Afghanistan. They mentioned that the wind drove the mills to rising water from the streams. Some historian believes that Alexander the Great might have come across Persian windmills and that was how windmills have spread from one country to another, in fact from one continent to another. Building Windmills is not an easy task. 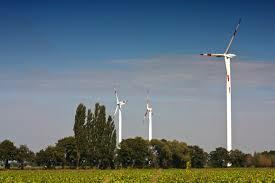 It requires massive research such as the location of the windmill, the wind speed, and wind direction. Usually, windmills are built on a hill to catch the wind. However, it could be built in a flat area as long as there is wind turbulence generated by tress.